Personal Training, Yoga and Boot Camp options to help you enjoy better health, fitness and lifestyle. Focus Boot Camp Hills District is about three things! Fitness! Fat loss! Changing shape! Our unique brand of bella vista yoga is about Resting, Refreshing and Re-balancing your body! Excellent trainers. Both Ryan and Maja are wonderful motivators. Always taking into account your current life and work. They set your training around what you can do and achieve, with the added push to excel constantly !! Taking the decision to go with focus health & fitness was the life changing decision I took. Ryan is the best trainer I’ve had. He pushed me hard and explained the concepts about diets and training techniques in a clear and concise manner. Thank you Ryan for helping me achieve my results. Outstanding personal training service. Some of the best personal trainers we have worked with. Ryan has been my trainer for over 1 year now. We spent most of 2017 preparing for my back surgery which was in December 2017. Ryan took the time to tailor a the program to achieve the goals i needed to ensure i was prepared for the surgery and a smooth recovery. We are now focusing on general strength and conditioning and i couldn't recommend Ryan highly enough to anyone looking for a trainer. Ryan is an excellent PT - very professional, knowledgeable and punctual. He knows what to teach and what not to according to one's physique. He really helped me strengthen and firm up my body. Its only been 3.5 months since I am under his guidance but the difference is immense. Earlier going to the gym meant only treadmill and the bikes for me but thanks to Ryan's planned and customised workouts, I am trying out different equipments and techniques - love going to the gym now! He pushes you to do your best. The best feeling is when you look yourself in the mirror and feel great both physically and mentally. Keep up the good work Ryan !!! Our Hills District Personal training is tailored to the individual. Call now for a personal trainer bella vista. We will keep you accountable to yourself and goals. Get a Norwest personal trainer now! We Will Help You Make Changes Safer and Faster. Our Hills district personal trainers take a comprehensive approach. We will create your everyday nutrition strategies. Our Castle Hill personal trainers take a comprehensive approach. We will help you enjoy your exercise and be progressive. Our bella vista personal trainers take a comprehensive approach. Our bella vista personal trainers take a lifestyle to approach to helping our clients enjoy better health and fitness. With over 25 years of personal training experience in the hills district we are some of the most experienced personal trainers in our industry and have helped numerous people look, feel and function better for sports and life! 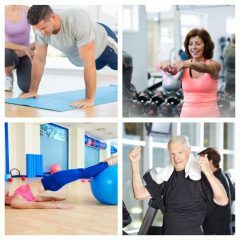 We have trained international level athletes and 70 year old nannas and know that a scientific approach to training can be tailored for anyone wanting to improve any aspect of their health and fitness.